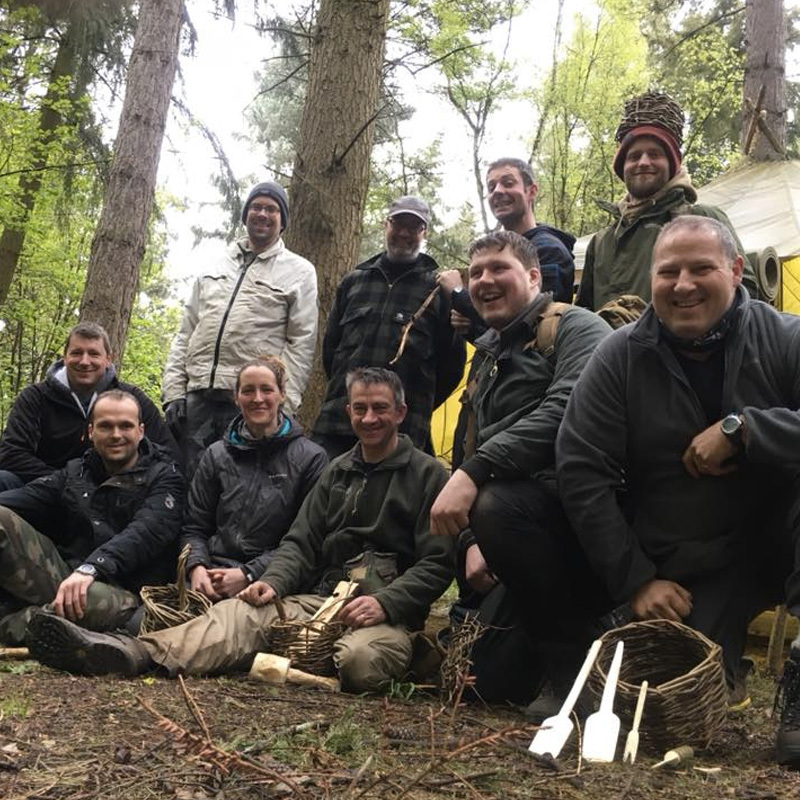 One of our advanced Bushcraft Courses the Woodland Ways Week will allow you to develop your Bushcraft Techniques for a more prolonged period of time. 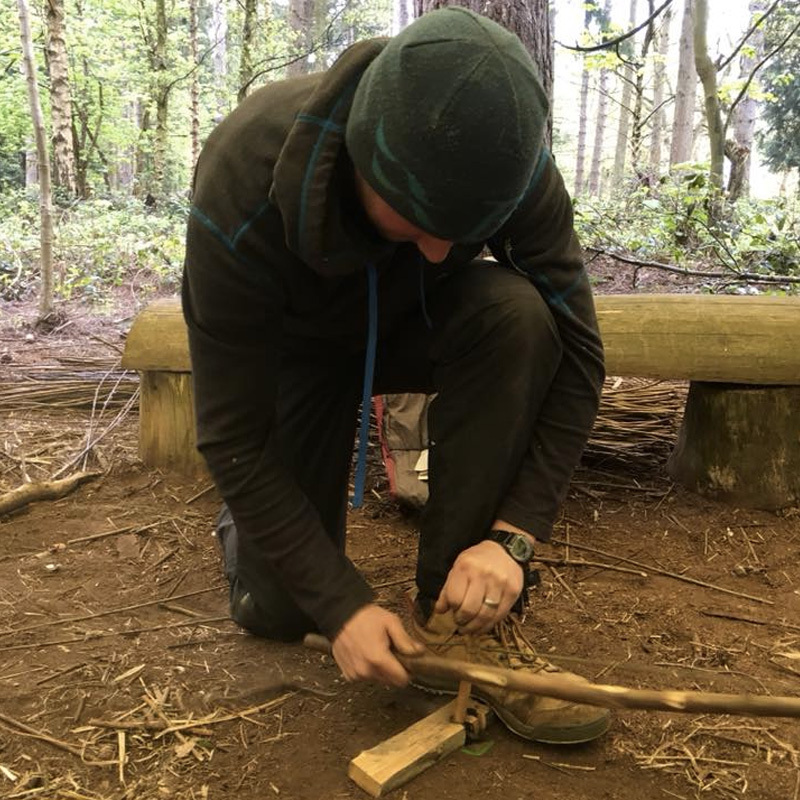 The Woodland Ways 5 day survival course is one of our more advanced Bushcraft courses and is designed for those who already have an understanding of Bushcraft skills and are starting to rely more on their skills rather than on modern day equipment. 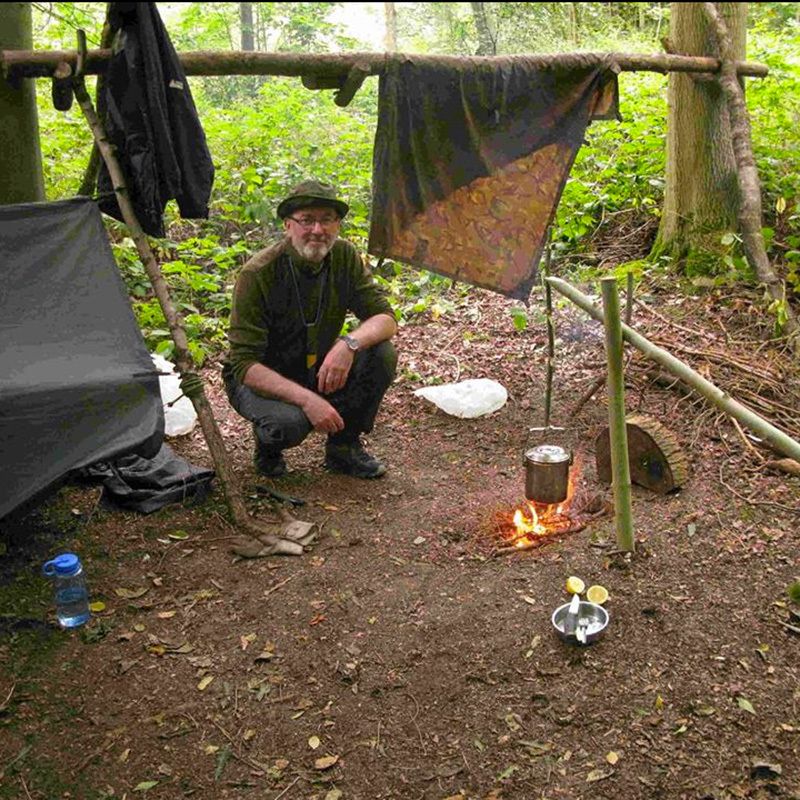 Previous Bushcraft knowledge and experience is desirable (although not essential) to attend this course. If you are in any doubt as to the suitability of this course please give us a call to discuss. This course for fills the requirement for the expedition section of the Gold Duke of Edinburgh award. Throughout this 5 day course, you will become increasingly immersed into the rhythm of the Woodland. 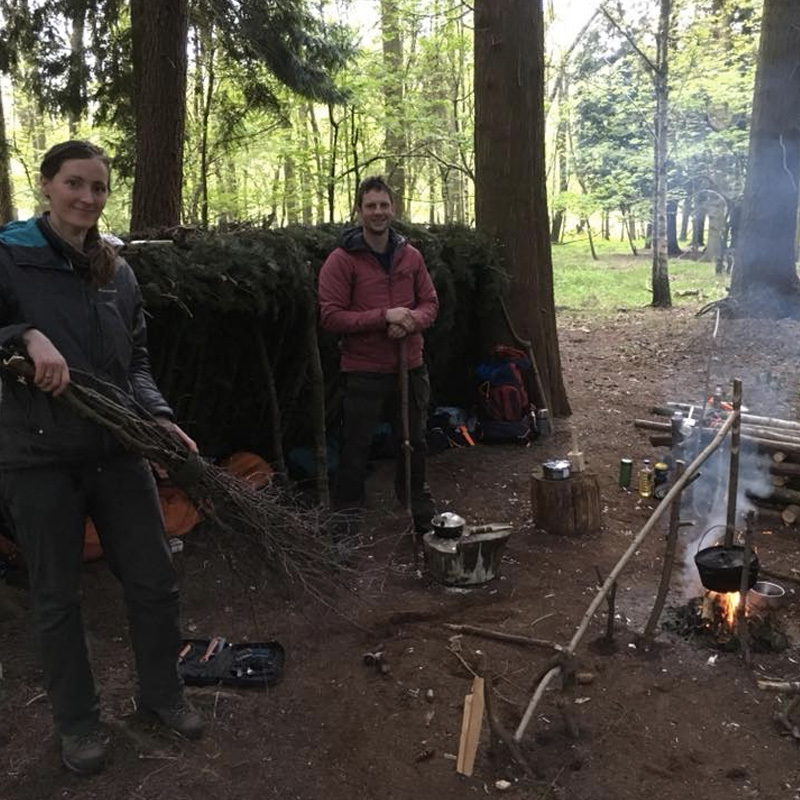 Our instructors will enable you to make full practical use of the resources available to you and show you how to rely more on your skills and resources to sustain yourself out in the woodland. 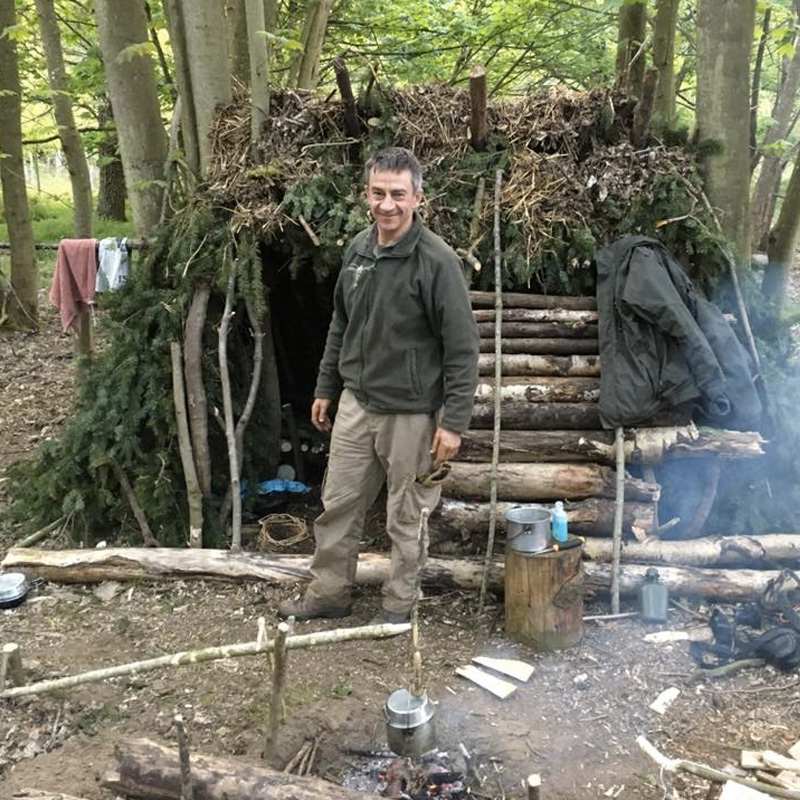 Through the week you are encouraged to gradually reduce your reliance on modern equipment and food so that by the end of the week you are using only natural materials for all your Bushcraft activities and, if you so wish, are eating purely wild food. 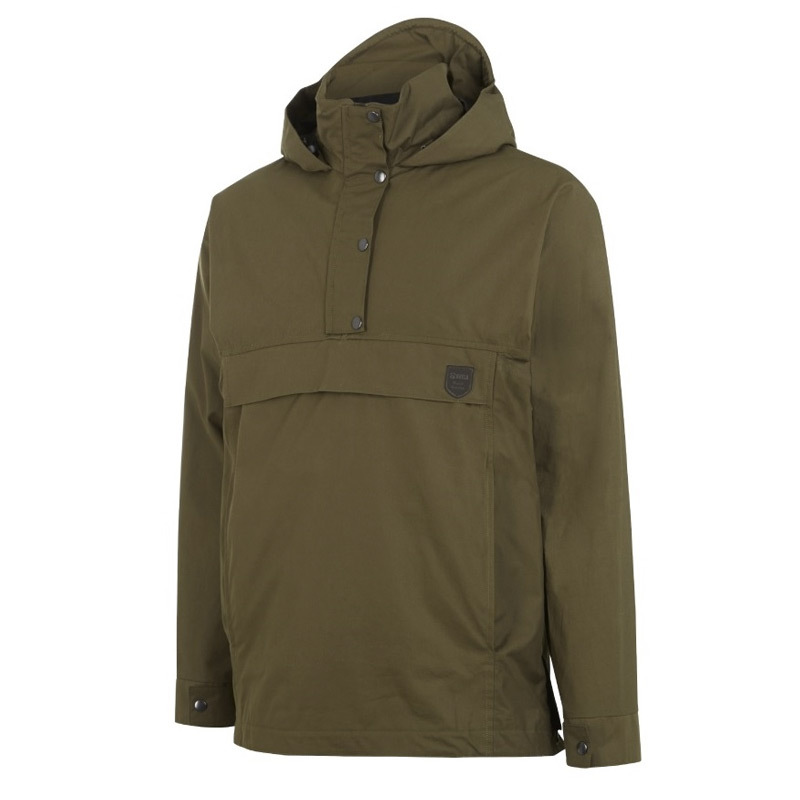 Food throughout the week will be provided in the form of wild game, however, depending on the time of year and seasonal changes this will differ from course to course. 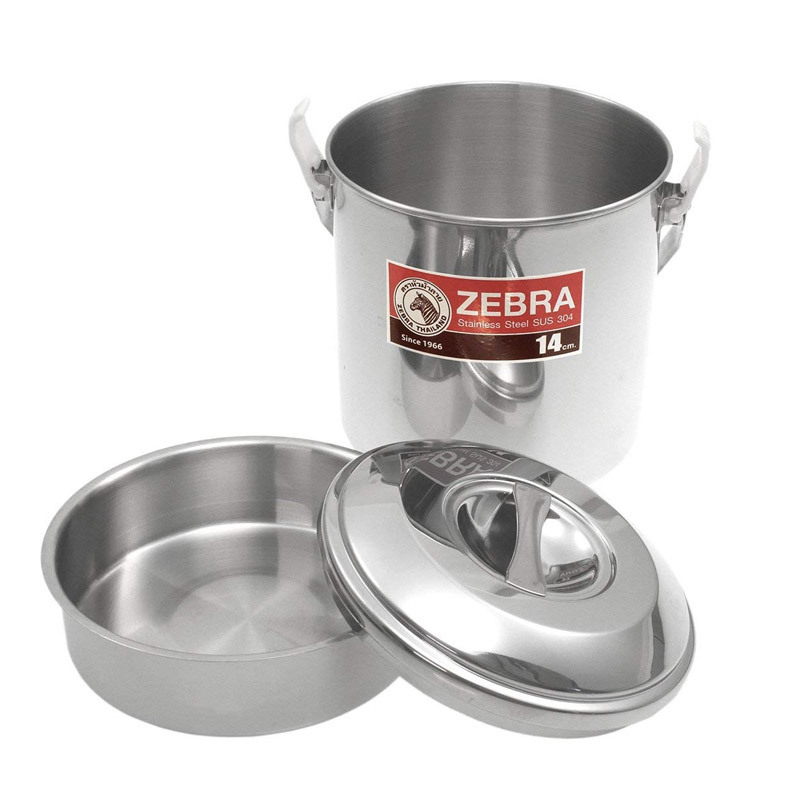 However, you are assured that there will be a wide range of game including; fowl, small mammal, and deer. 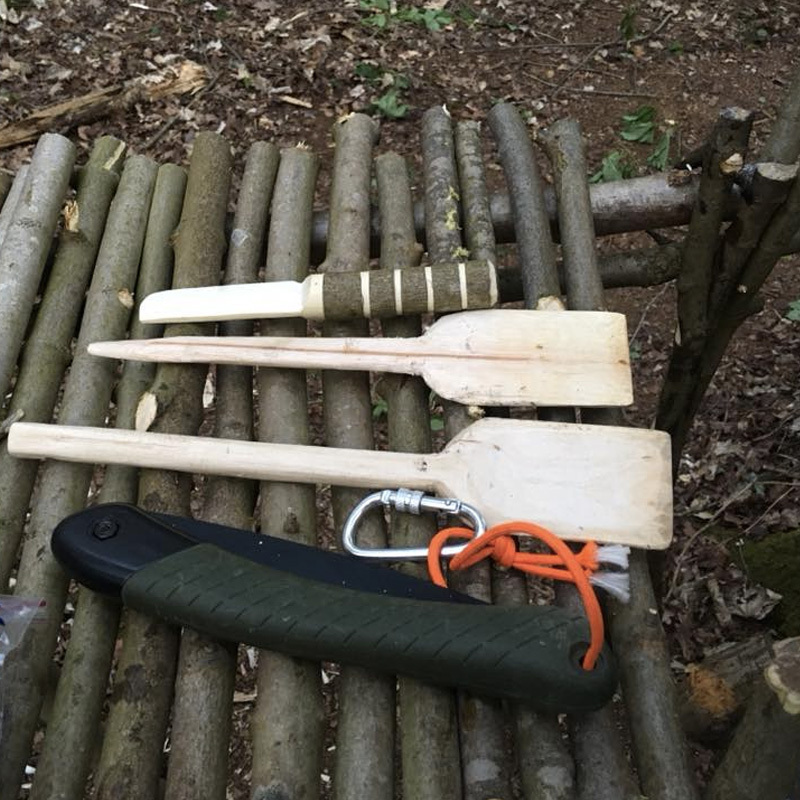 We begin the course on Monday where following your introduction to the woodland and the camp equipment; you are issued with your own Bushcraft Knife, Saw, Fire Steel, Dutch oven, Water and a Basha. This equipment is your springboard for overcoming the four basic principles of Survival- that is; Fire, Food,Shelter, and Water. Our first objective of the course is for you to establish your camp, and so issued with your kit you are guided to set up your own camp. Time is also spent gathering your firewood and getting your fire lit. Our instructors are on hand to provide assistance at all times. 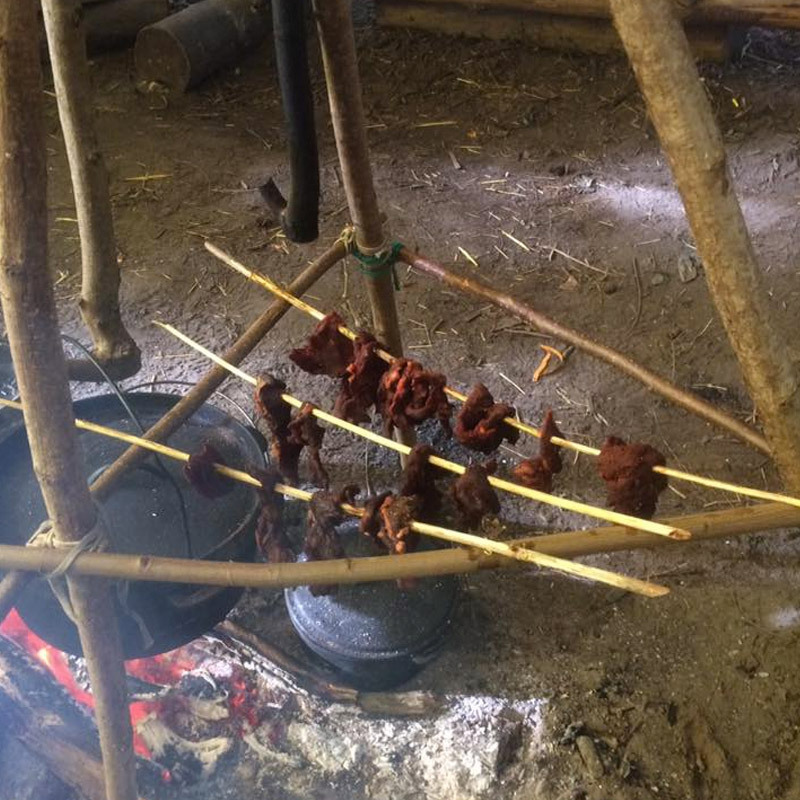 The venison forms the basis for your evening meal and it will be a team effort to prepare the meal which will be cooked in a traditional ground oven using hot rocks from the fire to roast the venison. After this delicious meal we undertake an awareness exercise to understand the rhythm of the woodland and the fauna within. This exercise is designed to encourage everyone to match the pace of the woodland and generally slow down making it much easier to observe the species that are sharing the woodland with you. Throughout this and subsequent nights you are encouraged to experience the woodland without white light. On Tuesday morning following breakfast, it is time to construct your shelter. This shelter will be your home for the next four days and will hopefully be your pride and joy. Just because we are living in the woods doesnât mean that you will be living rough. 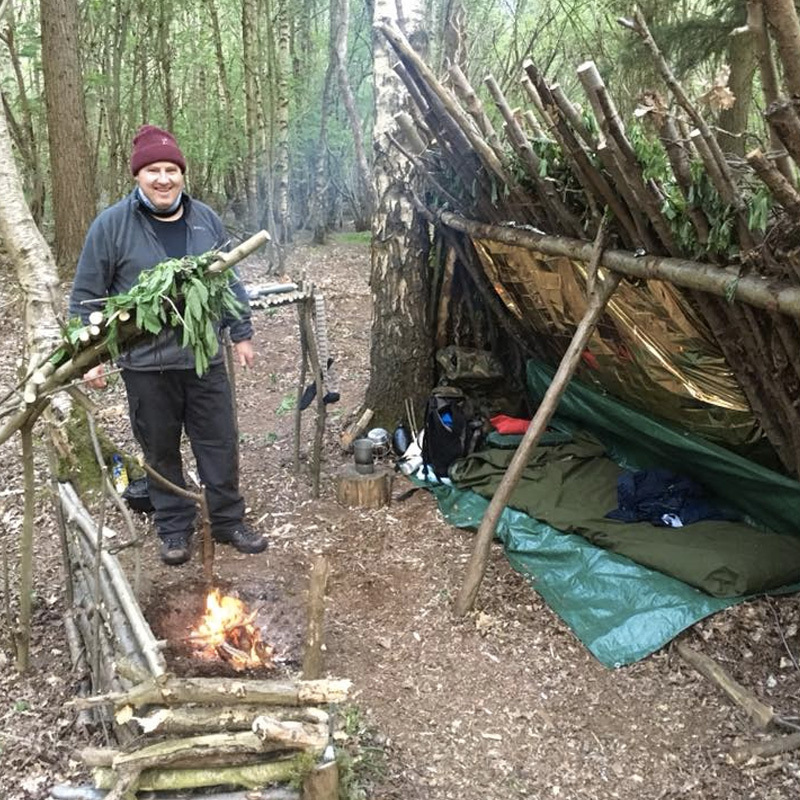 Both the woodland and instructors will provide you with the resources to construct your own shelter and the rest of the morning is dedicated to you building your own shelter where you will sleep the rest of the course. In the afternoon our instructors will then take you out on a forage to introduce you to some of the plants and trees that you have access to in the woodland and how to go about identifying, collecting and processing these plants into both food and any other resources you may need, in a safe and sustainable manner. There is also the opportunity to continue working on your shelter. 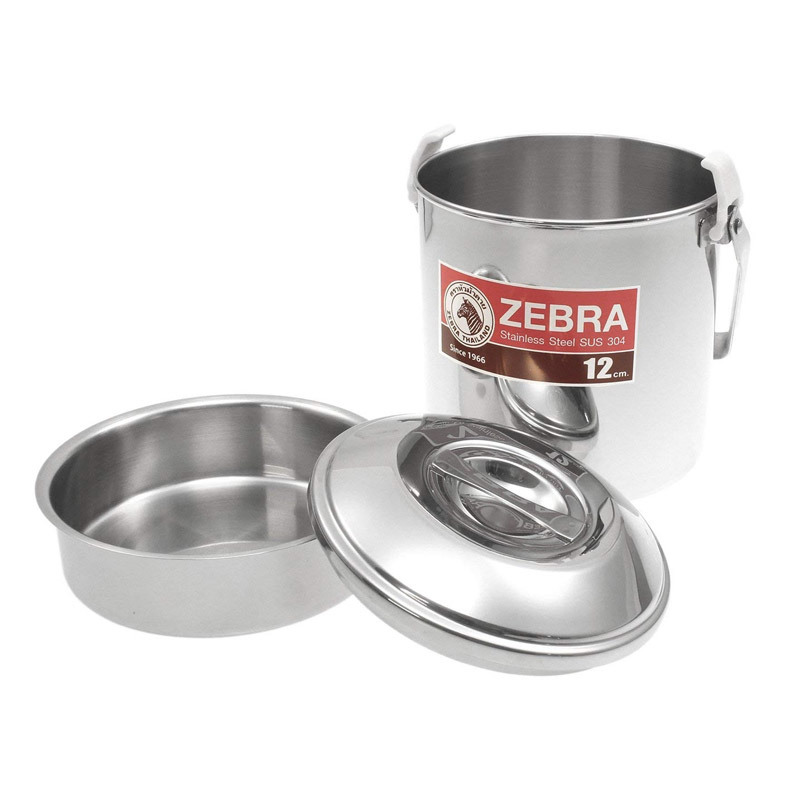 Following the evening meal, we then introduce you to animal tracks and signs, where you will also set a track trap. Our instructors will also be on hand for some one-to-one instruction to improve your stalking techniques. 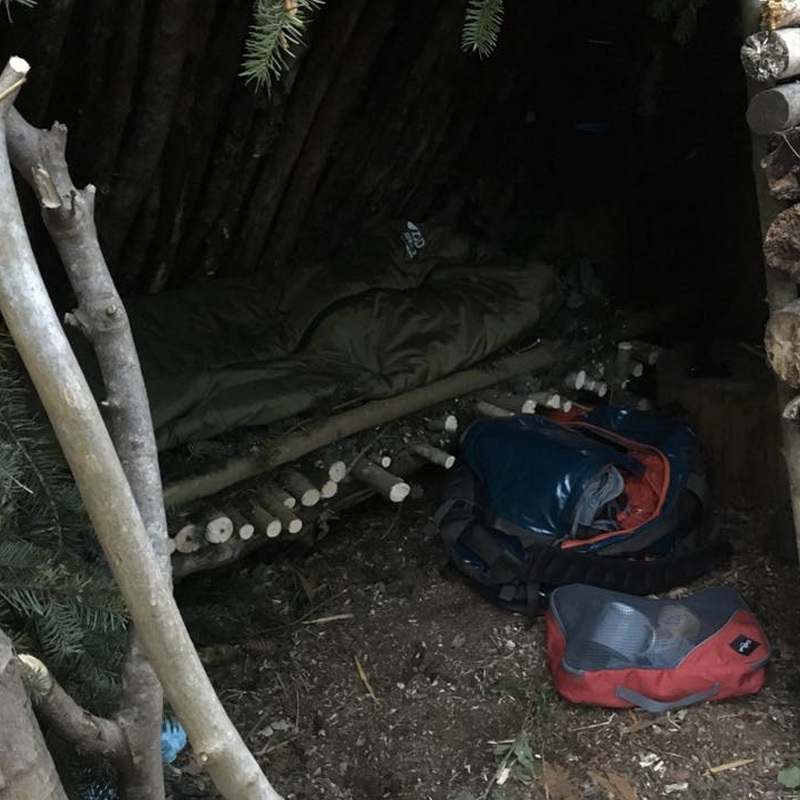 Following a night in your shelter, we start to encourage you to reduce the amount of kit you are relying on and so you have the option to relinquish your basha, spare clothing, snacks and saw. After breakfast, Wednesday morning is purely dedicated to lighting fire by friction. Our instructors will introduce you to using the hand drill. We spend the morning working with you initially in pairs and then on a one to one basis to enable you to master this very satisfying technique. Throughout the following two days you will also have the opportunity to make your own equipment using natural resources- such as wood, flint, fibres and woven bramble to replace modern equipment. 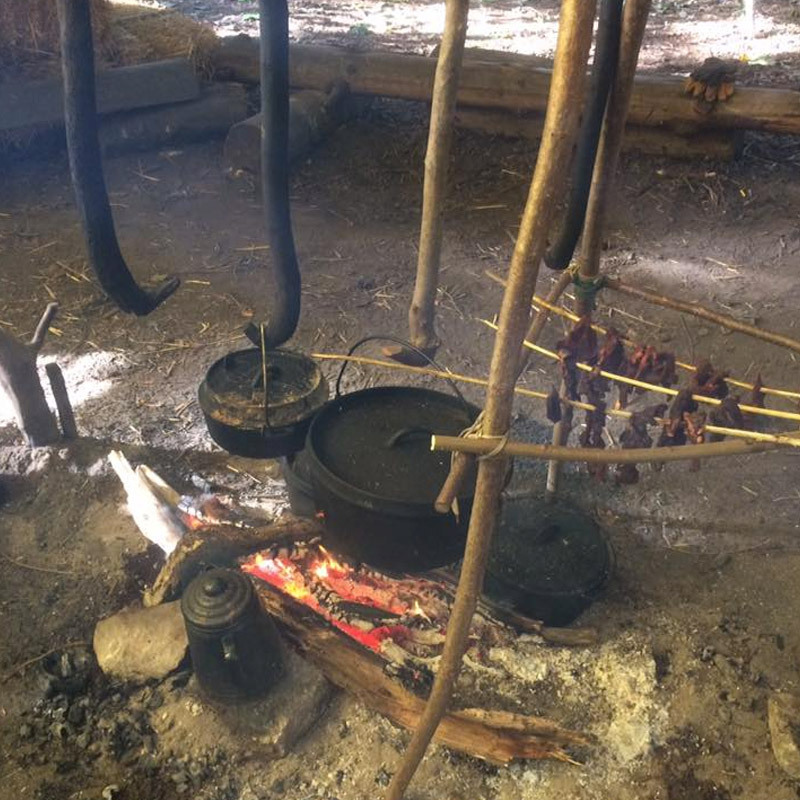 What you make is up to you but may include carving your own cooking utensils, making a bramble basket or strainer, creating flint blades and making cordage. Our instructors will be on hand to assist you with any of the projects you wish to choose. The evening on the Wednesday is spent going beyond the celestial navigation techniques you learnt on your weekend course as we spend the evening learning the constellations (subject to weather conditions). On Thursday for those that wish we have an early start where we gather before sunrise and establish ourselves in our sit spot positions. As the light grows we will monitor the effect on the flora and fauna. Following the debriefing, it is back inside the sleeping bag to catch up on those couple of extra hours sleep we missed before a full start to the day mid-morning. We then spend the remainder of the morning foraging for suitable woodland material to make a bed for your shelter. 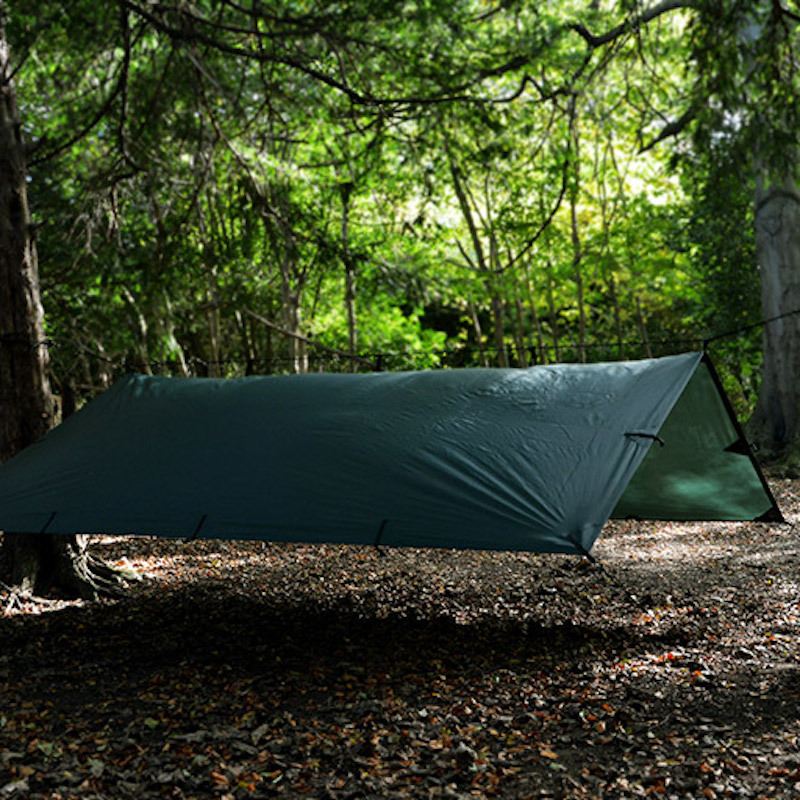 At this point, you can further reduce your dependence on modern equipment and if you chose, say goodbye to the fire steel, knife, sleeping bag and roll mat. Following lunch, the afternoon is spent looking at simple practical techniques for filtering and purifying your water. We also undertake a forage in order to have a completely "wild" evening meal. On the last night, the group comes together around the communal campfire to relate their experiences. 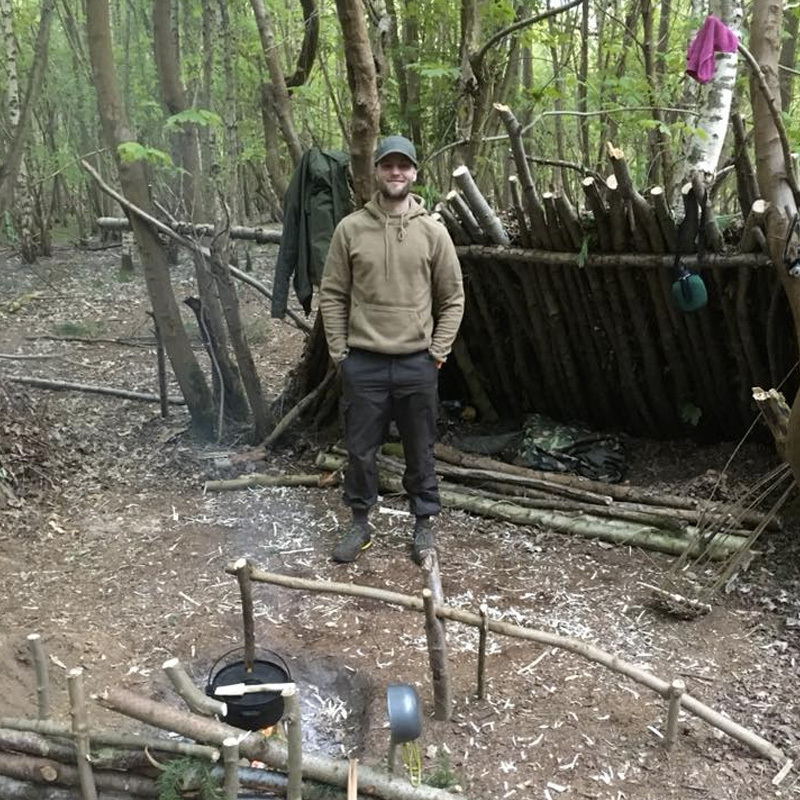 On Friday morning to conclude the course we build a Woodland Sauna, in which you will be able to refresh your tired bodies in preparation for the long journey home. The course concludes at midday. At the end of the course you have the equipment you have made yourself to take home, including your tracking stick, water filter, spoon, basket, traps etc. Please note this course is not an "extreme survivalâ course, rather it is designed to increase your confidence in your Bushcraft abilities. If you wish to undertake an "extreme survival courseâ please contact us and we will be happy to make recommendations on quality survival schools that we have experience working with. As with all of our courses, no one will be asked to do anything they are not comfortable with. Vegetarian options are always available and if you wish to retain your pieces of equipment through the week this is fine.